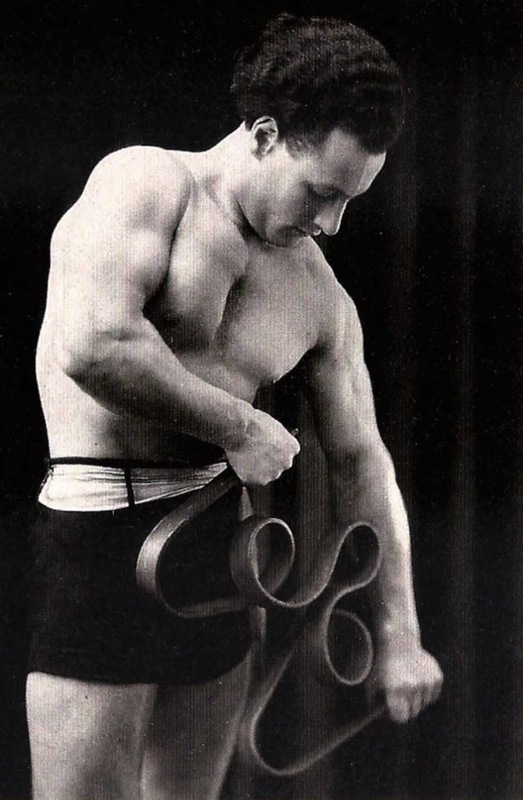 Eugen Sandow, the “Father of Modern Bodybuilding”. 1894. 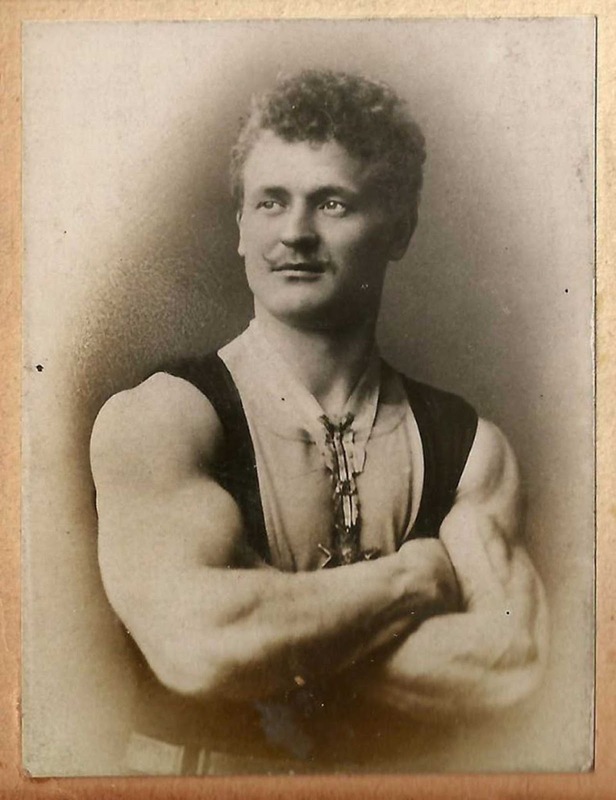 In the early 1900 there wasn’t really such a thing as bodybuilding, there were people who had huge muscles, but they concentrated on traditional strongmen routines. Lifting large boulders, performing impressive feats of strength, and generally entertaining an audience with tricks and skill. 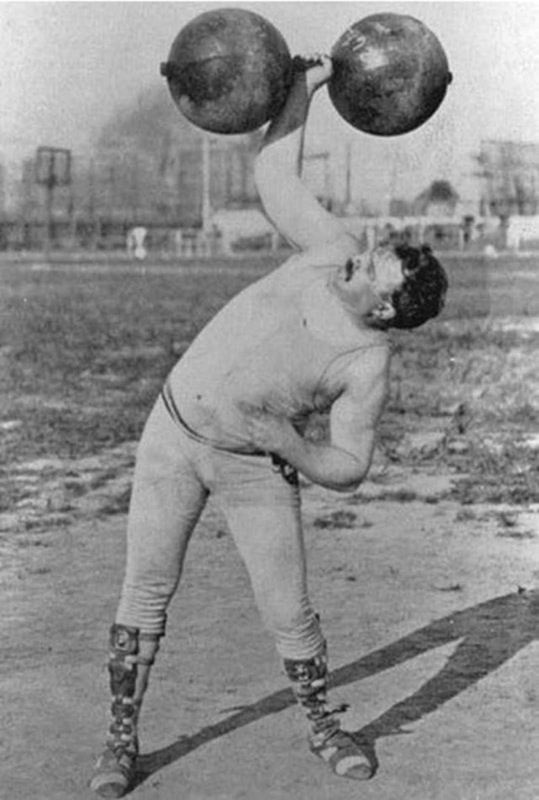 The professional strongmen was a response to the Industrial Revolution. With the emergence of office work and factories, there was a growing concern as to how this new sedentary lifestyle was affecting the manhood of the country’s men. These erstwhile bodybuilders focused on lifting the heaviest weights they could rather than developing and polishing each muscle in their bodies. As a result, most of them had fat stomachs and thick limbs accompanying their developed muscles. 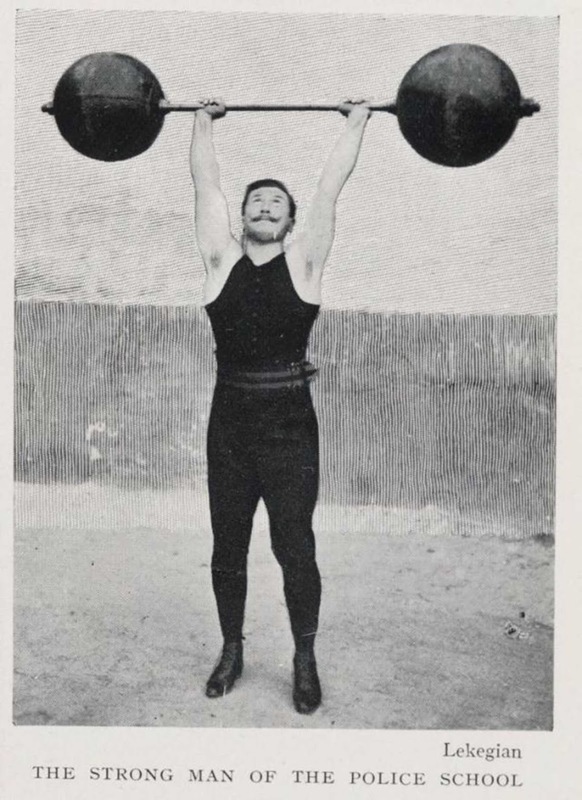 They were, however, noted for their impressive displays of physical strength and for constantly challenging their fellow “strongmen” to raise the weightlifting bar. 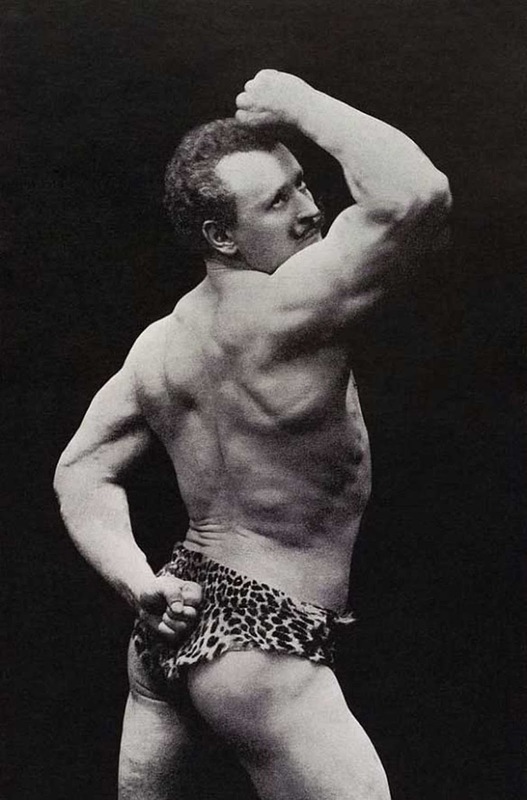 Eugen Sandow, who would later go down in history as “the Father of Modern Bodybuilding”, would come to challenge that notion. 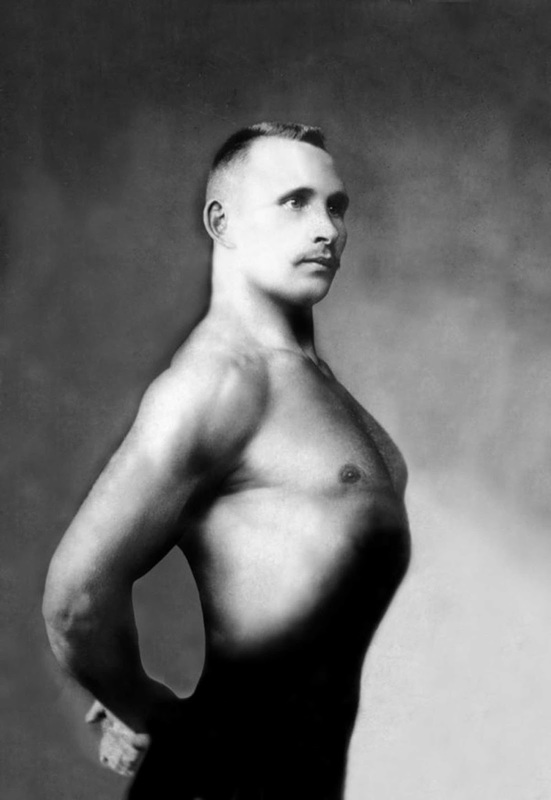 Originally born as Friedrich Muller, this German native developed his physique so that his audience could also appreciate his fine musculature while he carried out what was then called “muscle display performances”. 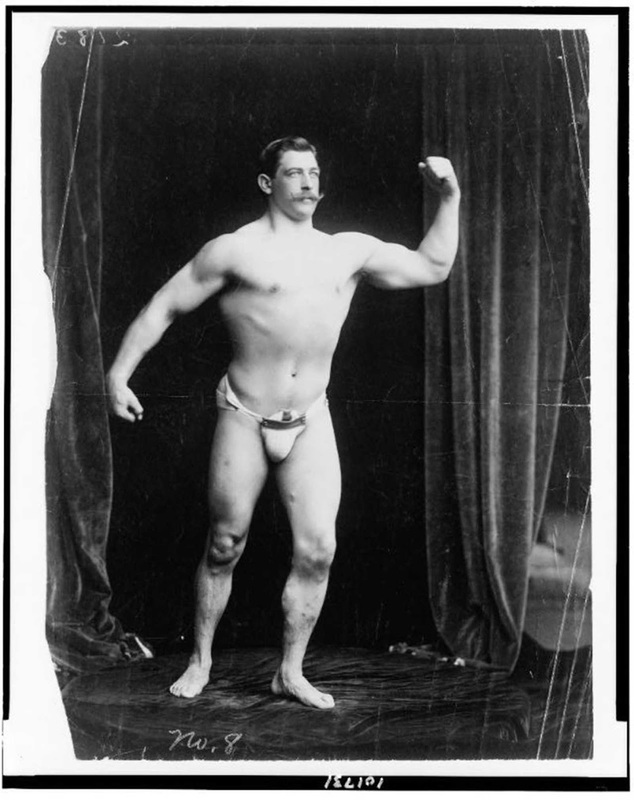 Sandow was famous, not only for his incredible strength but also for his finely sculpted body. 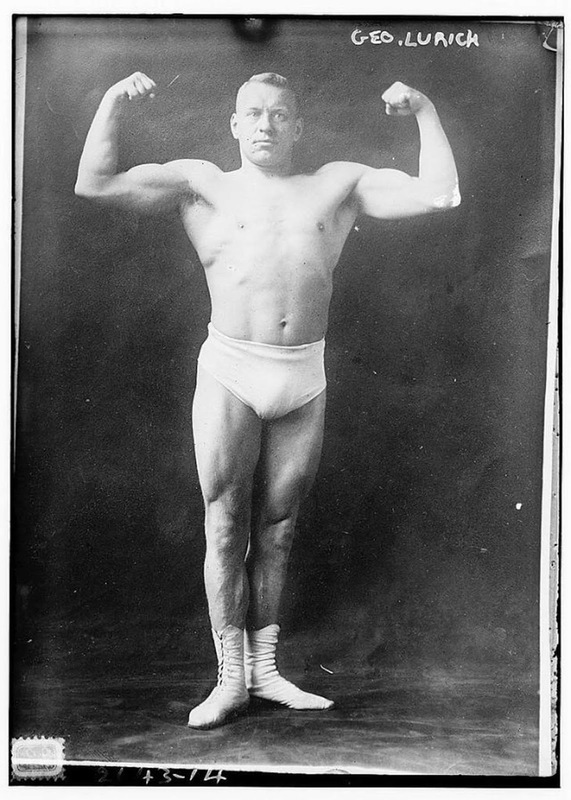 Apart from lifting the usual heavy weights, Sandow’s shows (usually performed on a stage built by his manager Florenz Ziegfield) also featured “The Strongest Man in the World” flexing his well-honed muscles and posing his muscular physique during weightlifting intervals. 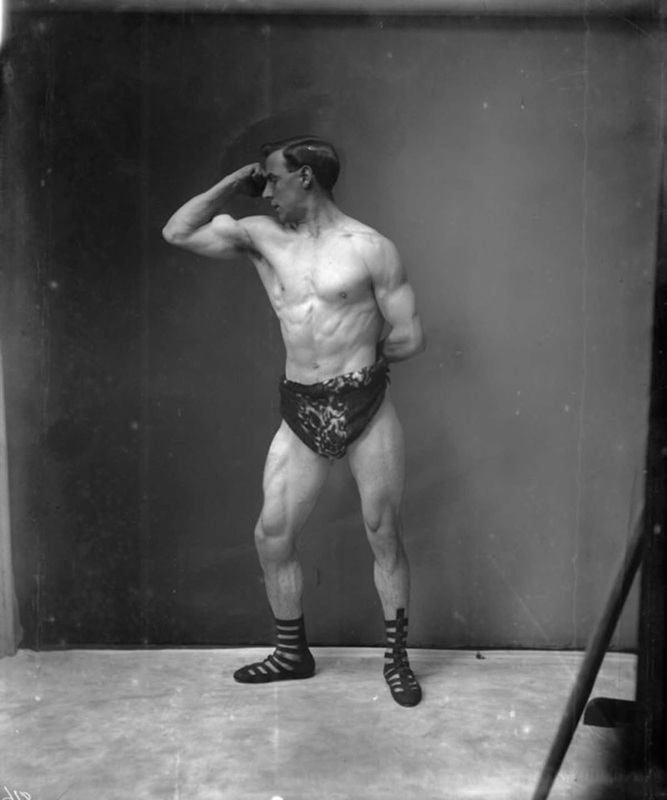 On January 16, 1904, the first large-scale bodybuilding competition in America took place at Madison Square Garden in New York City. 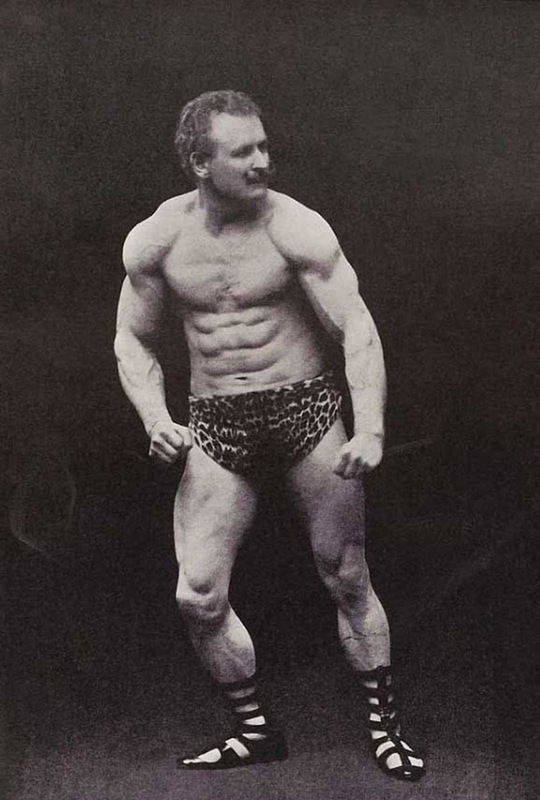 The competition was promoted by Bernarr Macfadden, the publisher of the original bodybuilding magazines such as Health & Strength. 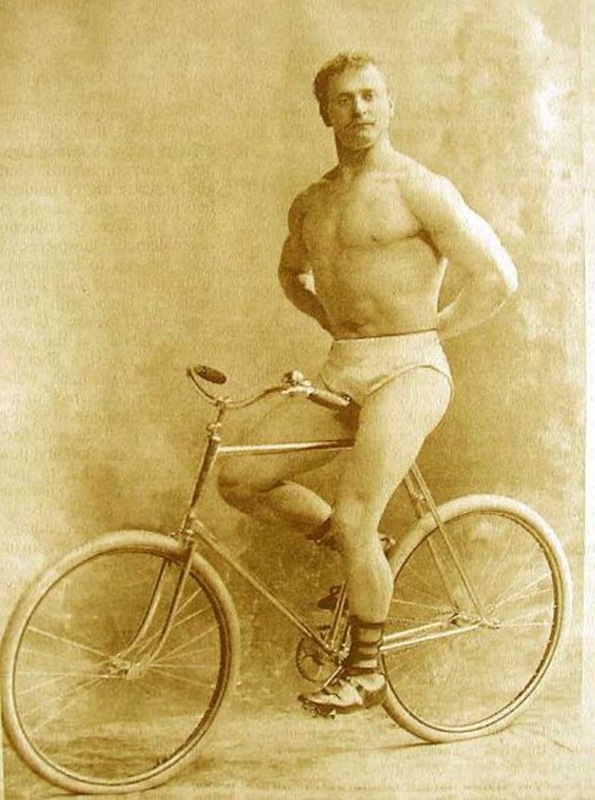 The winner was Al Treloar, who was declared “The Most Perfectly Developed Man in the World”. 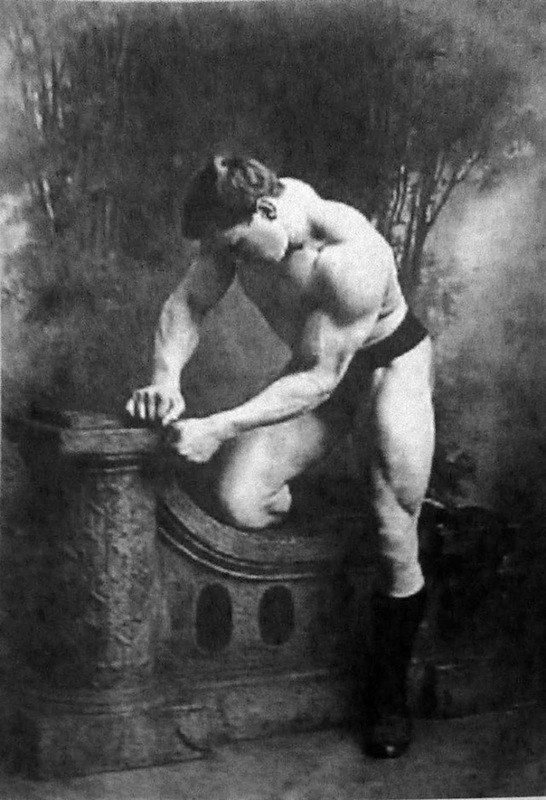 A Russian bodybuilder, photographed in a studio circa 1900. 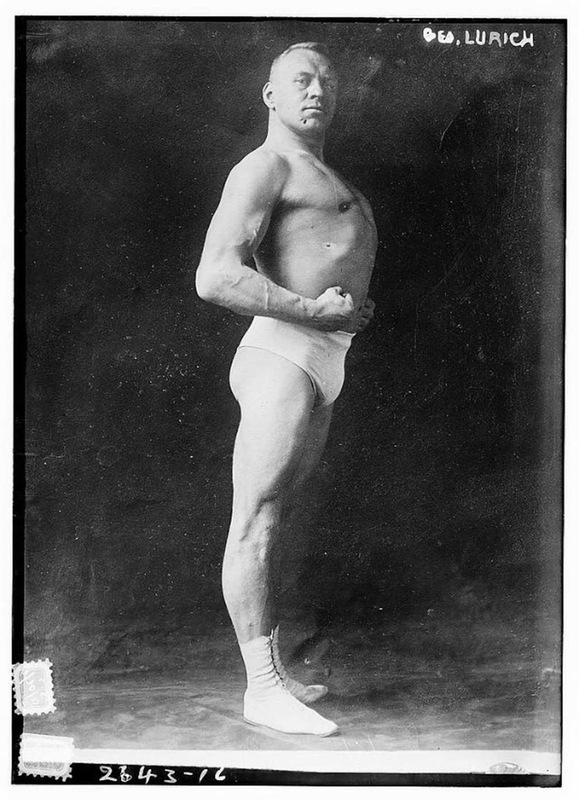 George Hackenschmidt, circa 1900. 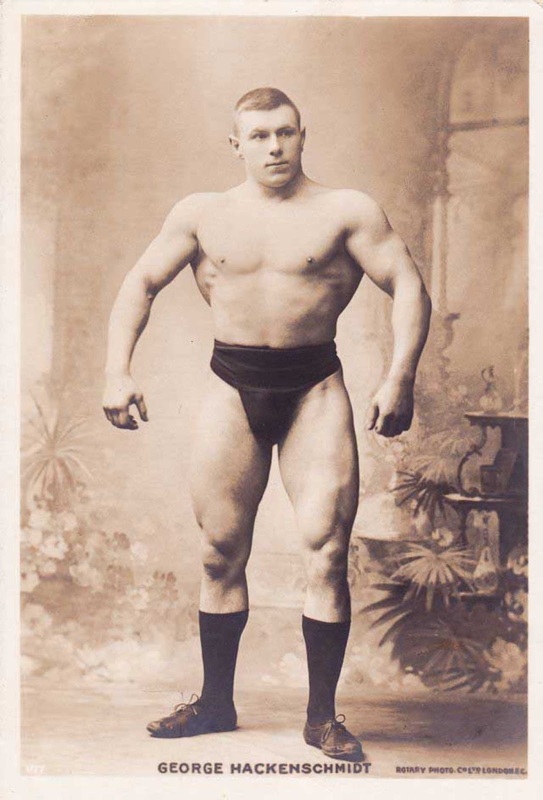 He is believed to be the creator of the professional wrestling version of the bear hug as well as the person who popularised the hack squat, a deadlift with arms behind the body. 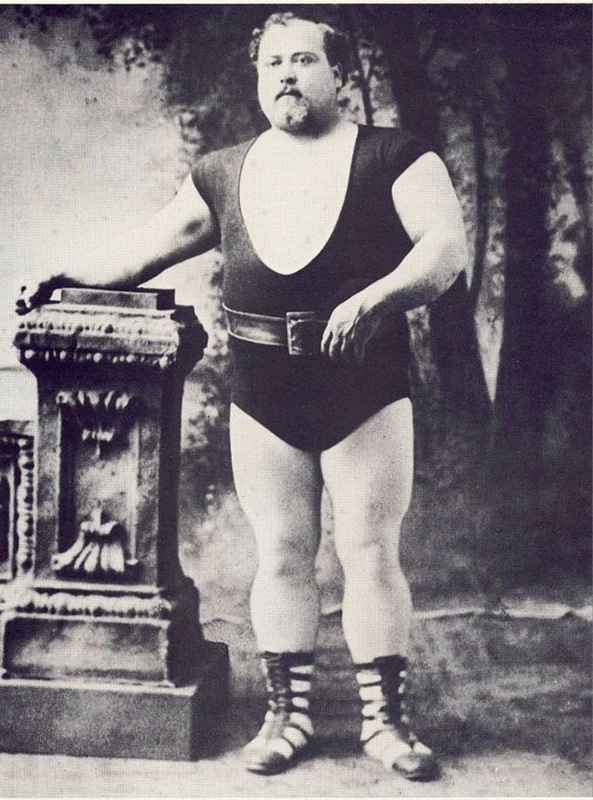 Louis Cyr, circa 1900. His recorded feats include: lifting 500 pounds (227 kg) with one finger and backlifting 4,337 pounds (1,967 kg). 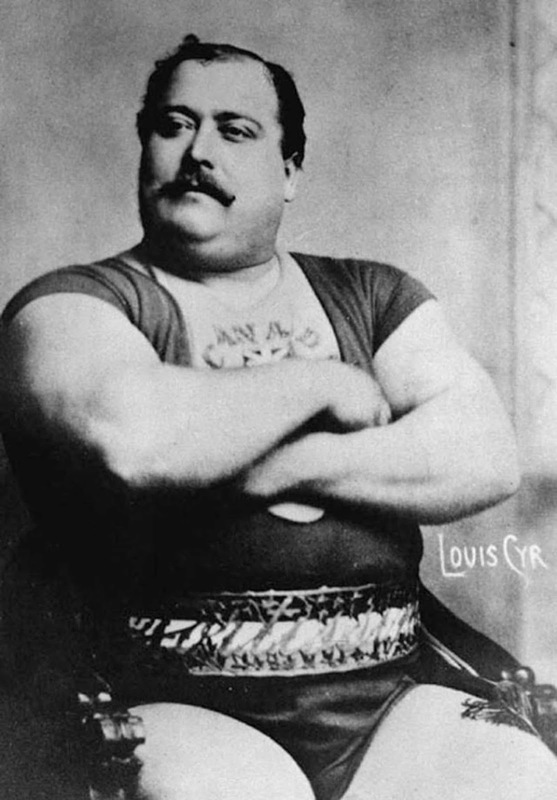 Louis Cyr, the French Canadian strongman. 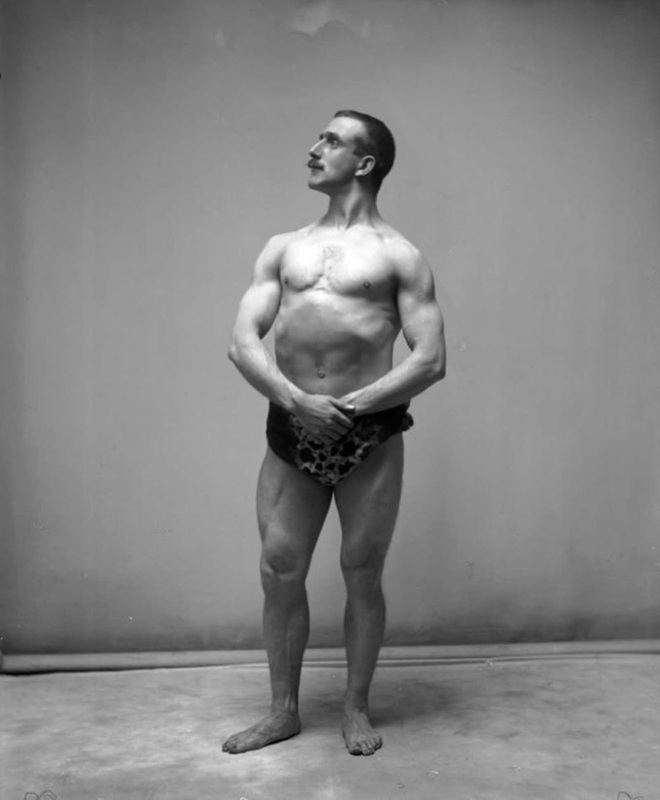 Eugen Sandow showing his guns. Lionel Strongfort. 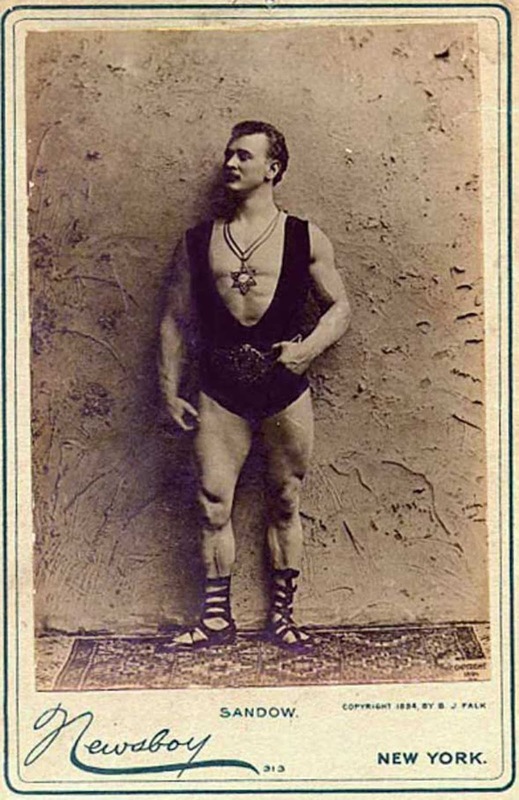 He began his famed stage career around 1897, becoming world renowned for his “Human Bridge Act” (The Tomb of Hercules position). 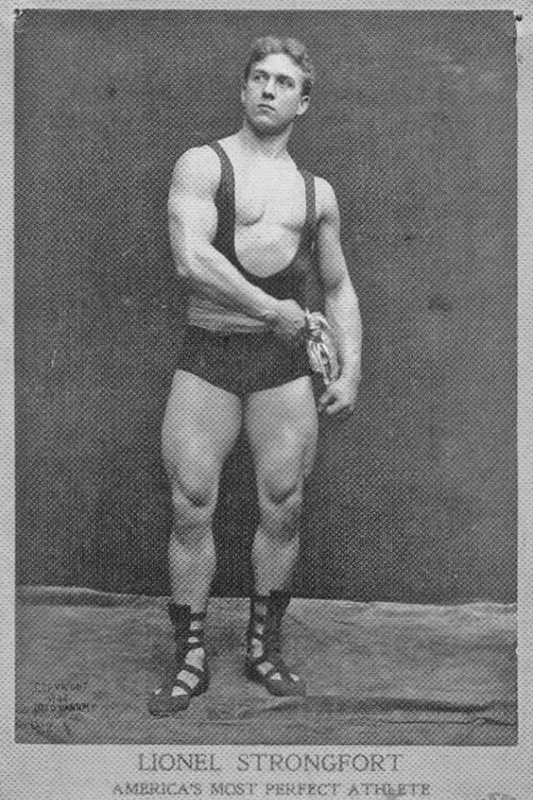 A bodybuilder known as Mr. Eggleton, the manager of Sandows physical school in 1905. 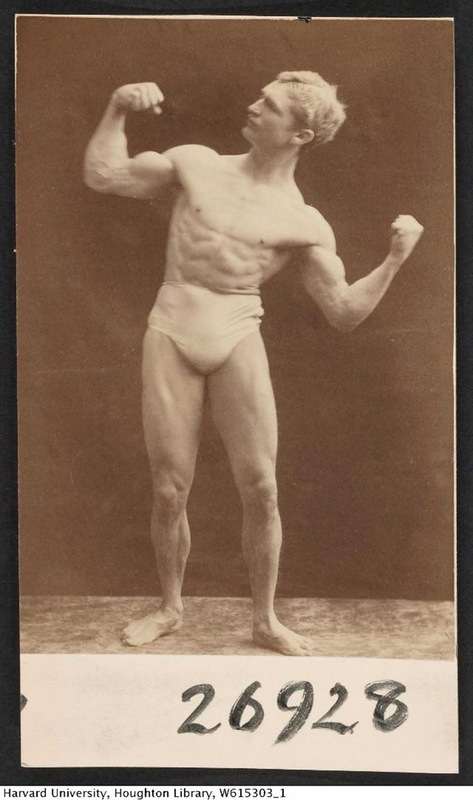 Mr. Murray, winner of the Sandow bodybuilding competition in 1905. The strong man of the police school, 1906. Arnold had the benefit of following in these fellows' footsteps. He also had an vast array of specialized equipment that was unavailable to his predecessors. I'm not trying to downplay his achievements but even he would recognize the debt owed to those who came before. Arnold was full of chemicals. 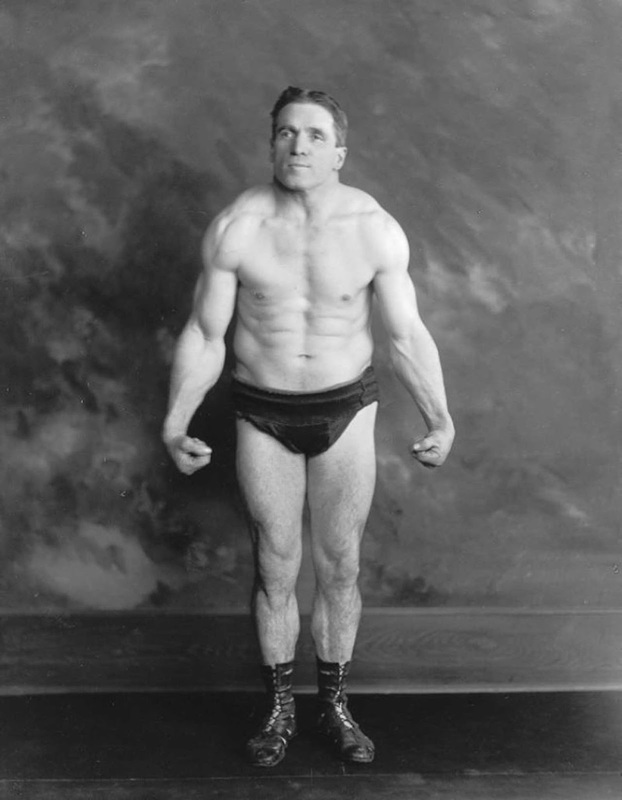 That does not mean he wasn't the greatest bodybuilder of all time, it's just that these guys were 100% natural. This is what natural, 100% real men look like.